Act fast on this gorgeous unit in Bosa's concrete built Arcadia East as it's priced to sell! This large corner SW facing 1046 sq ft2 bed & den unit has an open concept entertaining area w/large island, gas range, granite counters, new high end laminate flooring, 2 separated bedrooms w/ensuite in master, den/study area, fireplace, in-suite laundry, 2 balconies & floor to ceiling windows to admire the 270 degree panoramic views from New West to Capital Hill and everything in between! 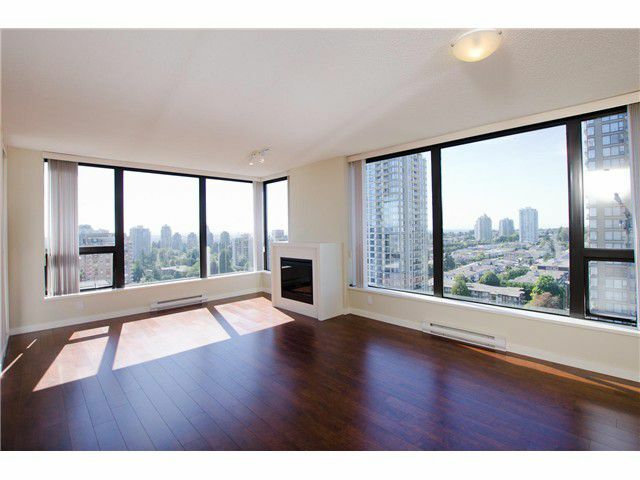 All this in the popular Highgate area less than one block from Skytrain, shopping, restaurants & parks inc. huge private courtyard & gardens. Comes w/1 u/g parking, 1 storage. Well run strata & building. Freshly painted & ready for you to move right in.